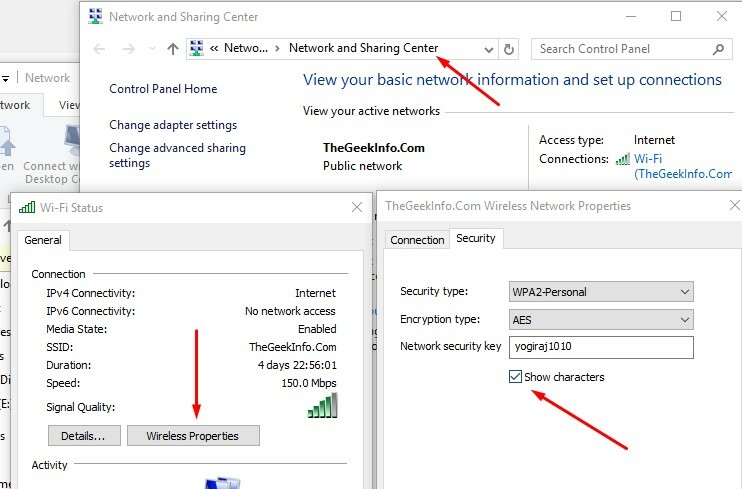 There are two reasonable methods to get passwords of connected Wi-Fi on your Windows computer. These tricks are useful when you connect to multiple wireless networks around your place, and you need to connect them again and again on different devices, but you can not memorise passwords of all known Wi-Fi address. So here is a catch, just get the password of connected Wi-Fi and store it in a text file or export the password of connected Wi-Fi. 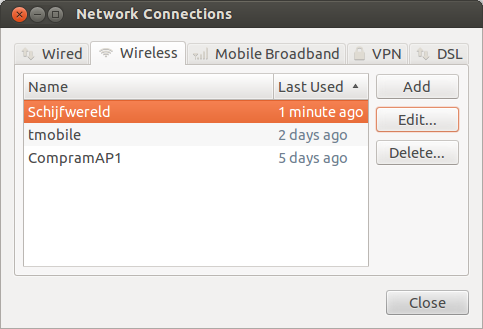 You can easily find the password of connected Wi-Fi from router setting. If you have ever configured a router, then you know where passwords of wireless router are saved, if not then follow these steps. Open Your WiFi settings through any browser you are using. In many cases, you don't have access to routers' configuration, and thus you can not find password using this method, but there is a way out from it. 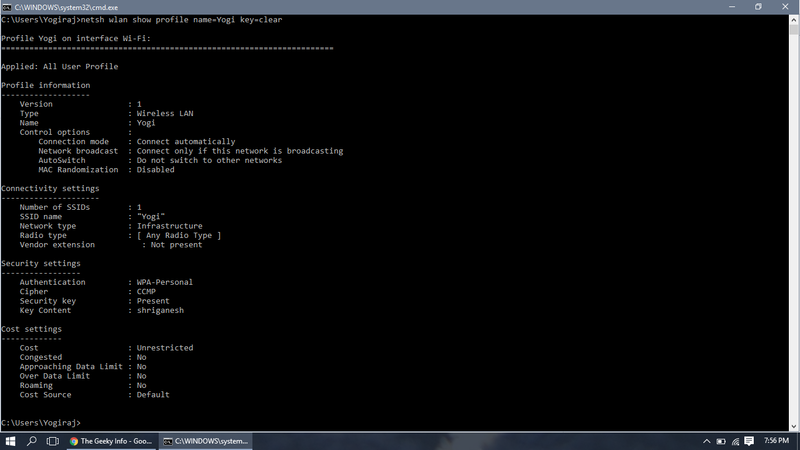 You can use the command prompt to get the password of connected Wi-Fi. Sometime Administrator inputs the password in workplaces for everything including Wi-Fi, and this creates a new issue because in workplaces or school, office networks to get the password of Wi-Fi to connect multiple devices or connect your device for entertainment. In this situations, you can use a simple command line on your Windows computer to get the password of your current connected Wi-Fi network. Follow these steps. Remember to change thegeekinfo with your SSID. 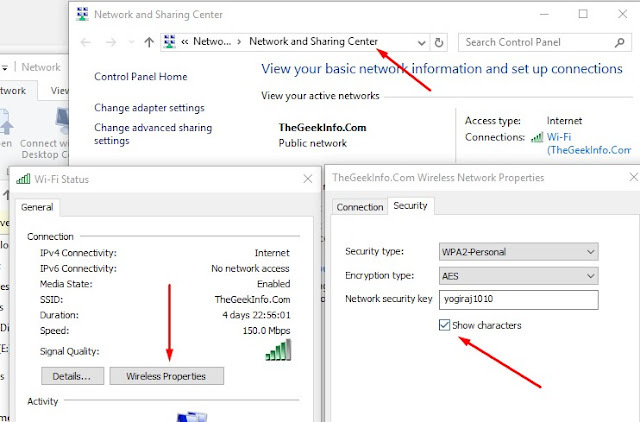 This method will work with all Windows based operating system, but normally it is hard for an average guy to remember the whole command line so you can see the password directly from Wireless network's properties in your network and setting section. Switch to Security tab and tick "show character" under Network Security Key. Spotlight > Keychain Access > type Wi-Fi name > select key > enter password to see Wi-Fi password. Select the Wireless network from the list. Click on edit and tick show password option.